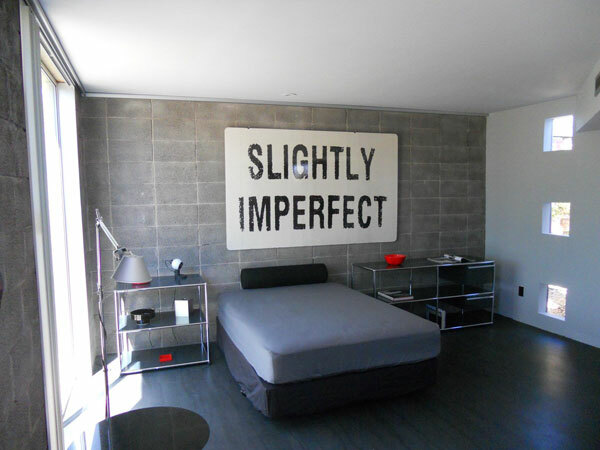 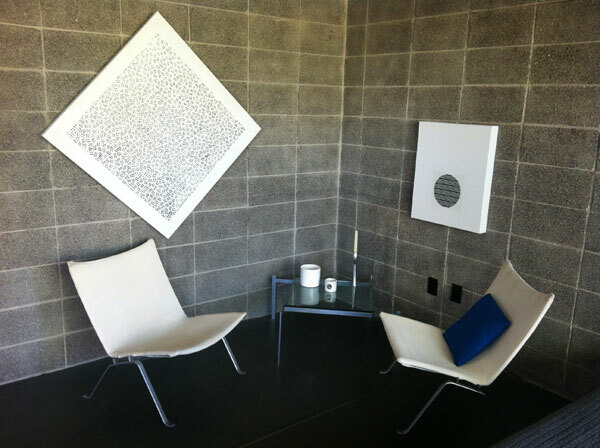 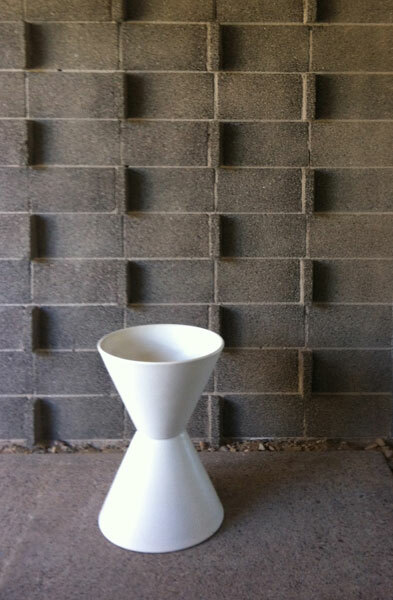 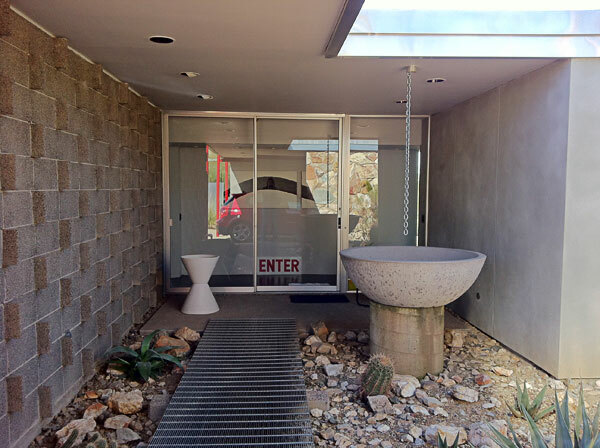 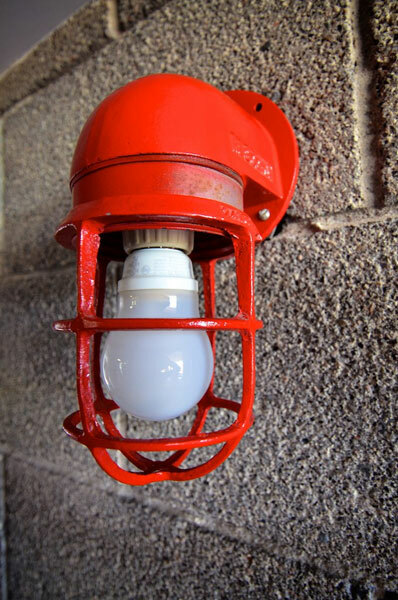 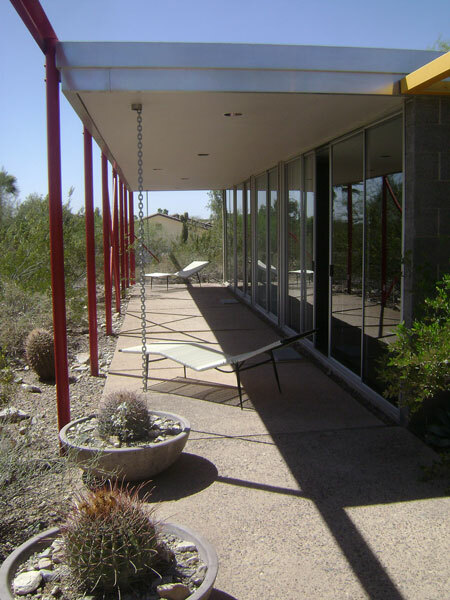 Architect: Alfred Newman Beadle, original 1959 design & extensive 1995 rehab. 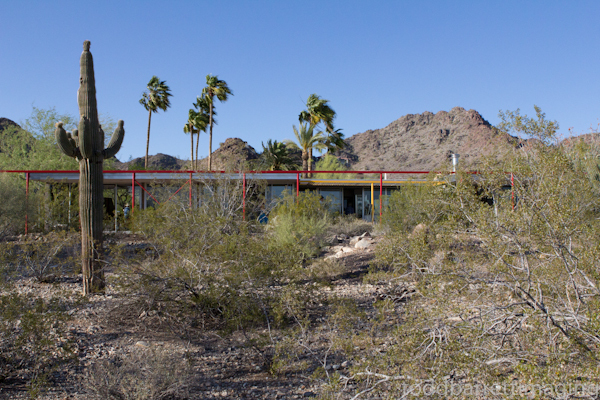 Notes: This originally largely wooden home, designed for the family of West Phoenix tract home builder, restaurateur and long-time Beadle friend and neighbor Bob Healy, was acquired from the Healys by the Fearnows in 1995. 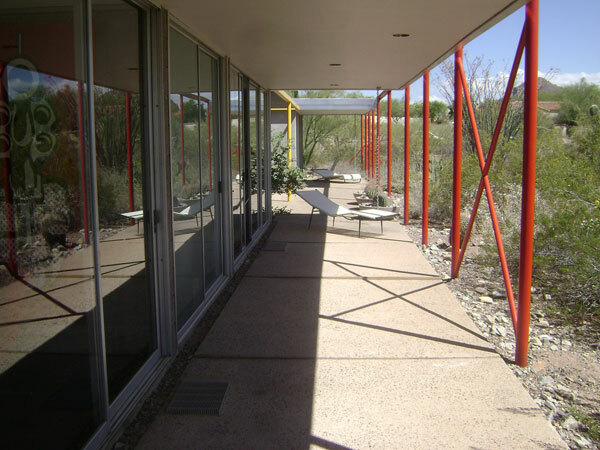 The two year rehab was one of Beadle's last projects before he passed away. 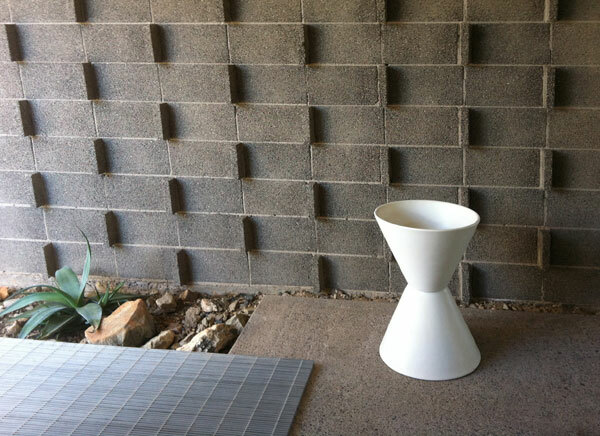 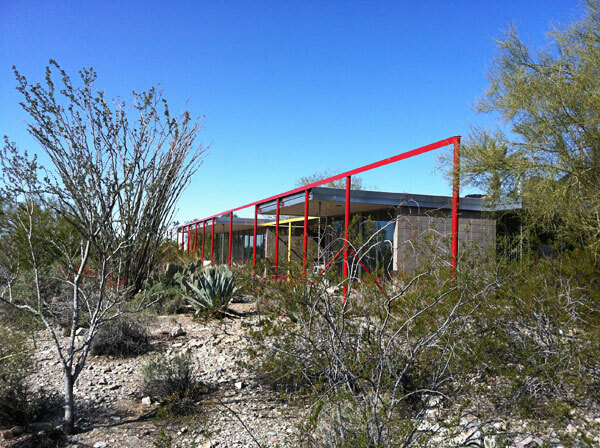 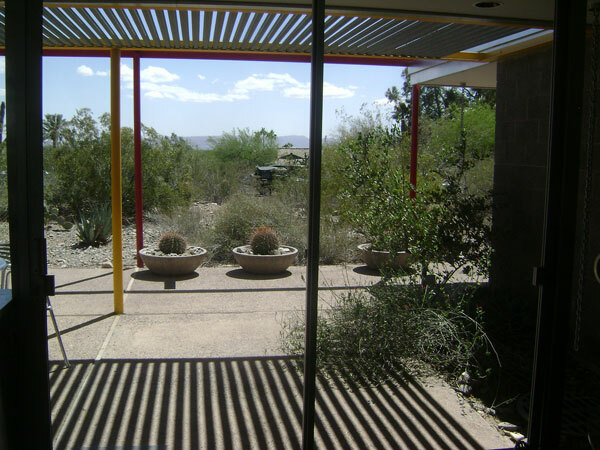 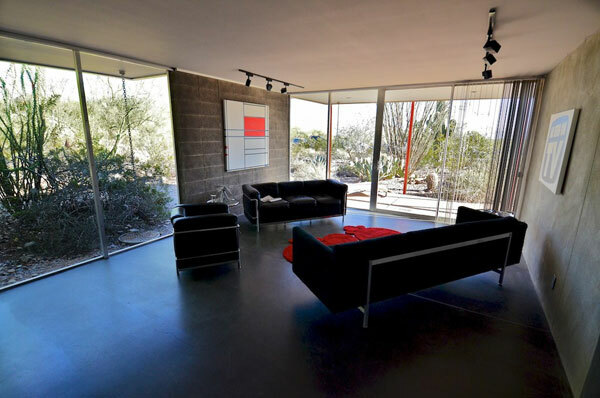 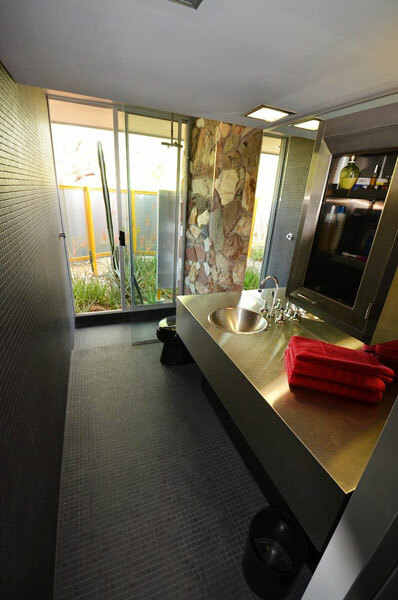 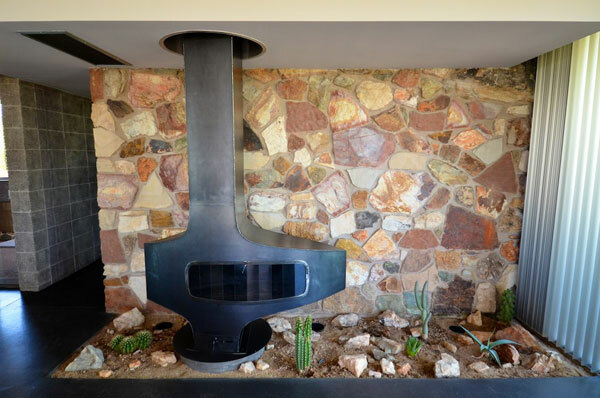 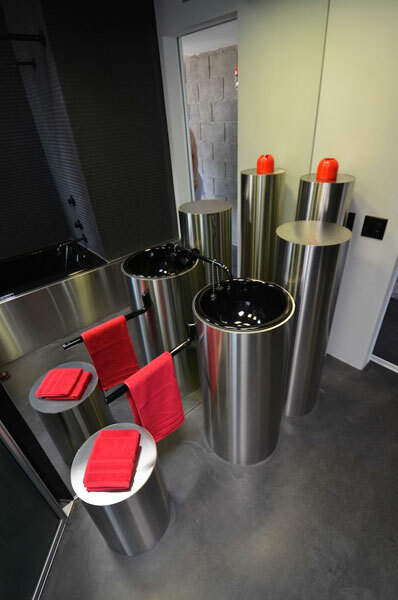 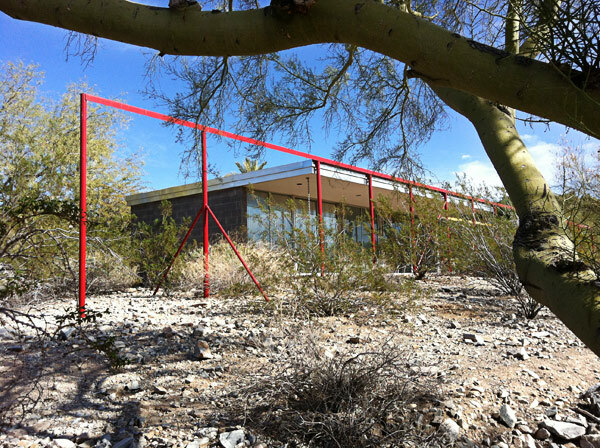 Upgrading the materials palette, Beadle re-envisioned the home as a Modernist classic, with red and yellow steel accenting — according to Al, "the color the desert when it is happy".